Who Answers? to speak to a trained representative about recovery options near you. Cocaine can be snorted, smoked or injected. Its use results in increased release and activity of dopamine – a brain chemical that plays a role in regulating movement, motivation and pleasure. Taking cocaine in larger amounts or over a longer period than you originally intended. Experiencing unsuccessful efforts to cut down or control cocaine use. Spending a great deal of time obtaining cocaine, using it and recovering from its effects. Experiencing cravings or a strong urge to use cocaine. Having trouble fulfilling responsibilities at work, school or home because of cocaine use. Giving up important social, occupational or recreational activities in favor of cocaine use. Using cocaine in situations where it is physically dangerous, such as driving or operating machinery. Using cocaine even though you have a persistent psychological or physical problem caused or exacerbated by cocaine. Building tolerance to cocaine, so that you need increased amounts to get high and/or you experience less of an effect with continued use of the same amount. Frequently displayed, but temporary bouts of euphoria, or elated mood. Mood swings (e.g., from elated to depressed, in a short duration). Rapid, excessive and sometimes higher-pitched speech. Runny nose; inflamed nasal passages (if use occurs nasally). If you recognize any of these signs or symptoms in yourself or a loved one, it might be time to seek addiction treatment. Cocaine addiction can be very difficult to overcome by yourself due to the intense cravings and withdrawal symptoms that occur when you stop using. Depression and even suicidal thoughts are possible during withdrawal and best managed by professionals. The cost of a program will depend on the length of your stay, the location and the program’s amenities. A facility that is considered posh in accommodations and elite in clientele will come with a higher price tag than one that is less luxurious. Contact specific rehab programs to determine which is the best fit for your needs and your budget. Call the Substance Abuse and Mental Health Services Administration’s (SAMHSA) national helpline for referrals if you are uninsured or underinsured. Using private insurance. Call 1-888-319-2606 Who Answers? to find out whether your benefits will cover substance abuse treatment and whether a referral from an outpatient provider is necessary. Using government-provided insurance. Healthcare.gov can be a guide for affordable health insurance. For those who qualify, both Medicare and Medicaid are also possible sources of payment for treatment. Financing your treatment. Many facilities offer a sliding scale or payment plan. Ask about these options when you contact the program’s admissions department. More people are also turning to crowdfunding, such as an Indiegogo or GoFundMe campaign, to raise money to assist with offsetting the cost of care. Cocaine addiction treatment should not involve any “cookie-cutter” solutions. Treatment is best when it is geared toward the individual needs of the person with the addiction. The length of cocaine addiction treatment will depend on the severity of your addiction, whether you have any concurrent mental health issues, and your level of insurance coverage. Inpatient drug treatment. Inpatient cocaine rehab can be 30 days, 60 days or 90 days (or more, in some cases). Many inpatient programs offer medically supervised detoxification, individual and group counseling, medical treatment and 12-step meetings. They may also incorporate art, music, fitness and animal-assisted programs (e.g., equine therapy). Outpatient rehab centers may also offer individual, group, family and even couples therapy. Some programs may even outline an outpatient detox regimen at the start of treatment. 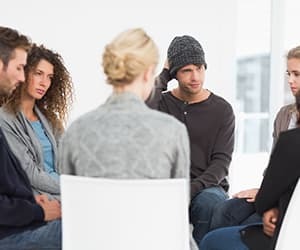 Outpatient program types range from a few scheduled visits with an addiction treatment counselor to more intensive programs and, even, partial hospitalization services. The common theme throughout all of these is that you are able to return home when not actively participating in treatment. Intensive outpatient programs (IOPs) are half-day treatment options for those with work and school schedules that do not allow for full-day or inpatient treatment. 12-step programs, including Narcotics Anonymous and Cocaine Anonymous, and alternative self-help programs, such as SMART Recovery, are helpful tools for those on the road to recovery. You meet with peers who are struggling with substance abuse issues and follow a program of recovery. Twelve-step programs emphasize admitting helplessness over your addiction and following a higher power, while SMART Recovery focuses on self-empowerment. Dual diagnosis rehab programs are for people who struggle with both cocaine addiction and a co-occurring psychiatric diagnosis such as depression, anxiety or bipolar disorder. Both inpatient and outpatient programs may incorporate evidence-based therapies such as cognitive behavioral therapy, contingency management and the Matrix Model. Cognitive behavioral therapy (CBT) helps identify triggers and thoughts that may lead you to use cocaine, and then teaches you skills you can use – such as “thought stopping” – to prevent a relapse. A CBT therapist can also identify how thoughts and perceptions you have about yourself or the world may have contributed to your addiction. Contingency management programs offer rewards for meeting certain goals, such as staying clean for a certain period of time, completing homework or providing a clean urine sample. Rewards can include movie tickets or gift cards, for example. The Matrix Model was developed specifically for stimulant abusers. It is a time-limited outpatient program that incorporates a number of approaches from other therapies, including individual and family counseling, addiction education, urine testing and relapse prevention skills. An important aspect of treatment is the acknowledgment that it is a process, rather than a “one and done” sober supports such as 12-step meetings after you leave a rehab program, will enable long-term recovery. A rehab program can help you get sober and give you the tools to prevent a relapse. But it’s up to you to manage your recovery when you leave. Make sure your program works with you on an aftercare plan so that you can continue to receive support for your recovery once you go back to your day-to-day life. Who Answers? to speak to a rehab support specialist about your insurance coverage and rehab options in your area. Cocaine use causes a number of effects that are both immediate and long-term. The severity of the symptoms varies with duration, method of use and frequency of use. Generally, the longer the use, the greater the impact on the body and mind. Increased risk of heart attack. Bowel ischemia (decreased blood flow) with resultant bowel gangrene (especially if ingested orally). Puncture marks most commonly on the forearms (from injection). Cardiac disease (e.g., cardiomyopathy, congestive heart failure secondary to long-standing hypertension and ischemic heart injury). Potential allergic reactions, either to the drug or to some additive in street cocaine – can lead to death in severe cases. What Are the Effects of Cocaine Use During Pregnancy? Babies born to cocaine-using mothers are often premature and have low birth weight. How Does Cocaine Addiction Affect the Brain? How Hard Is It to Quit? It depends on the willingness of the person to commit to treatment. Since cocaine is highly addictive and those who struggle with cocaine abuse potentially contend with a number of associated medical and mental health issues, quitting can be made safer under the supervision of qualified clinicians.People who complete an inpatient rehab program should also seek aftercare in the community once they leave. Relapse rates are high with cocaine, and many in recovery find continued support through ongoing counseling, attendance of 12-step meetings and, possibly, arrangements to stay at a “halfway house” or other sober living community. To find a cocaine recovery center today, contact 1-888-319-2606 Who Answers? . A treatment support specialist can assess your need for treatment and help you find a rehab option that best suits your needs. They can also answer questions about your insurance and what kind of treatment it will cover.
. National Institute on Drug Abuse. (2010). What are the short-term effects of cocaine use?
. National Institute on Drug Abuse. (2010). What are the long-term effects of cocaine use?
. National Institute on Drug Abuse. (2010). What Are the Effects of Maternal Cocaine Use?